Avocados are high in fat and fiber with a small amount of protein. For example, one half of an avocado has about 160 calories and 15 grams of fat. It also contains 9 grams of carbs and seven grams of fiber. The high fiber content of an avocado makes it an excellent food for hunger control and your overall health. You may be wondering why I am sharing the nutrient breakdown of an avocado when this is the food we are trying to substitute. The reason is that when you are looking for a suitable substitute for a food, you want to match its nutrient breakdown as closely as possible. With that said, here are seven healthy foods you can use as an avocado substitute. The first substitution I recommend is raw nuts. I recommend raw nuts over roasted nuts because most roasted nuts are roasted in unhealthy oils. Unhealthy oils include vegetable oils, like canola, soy, and corn oil. 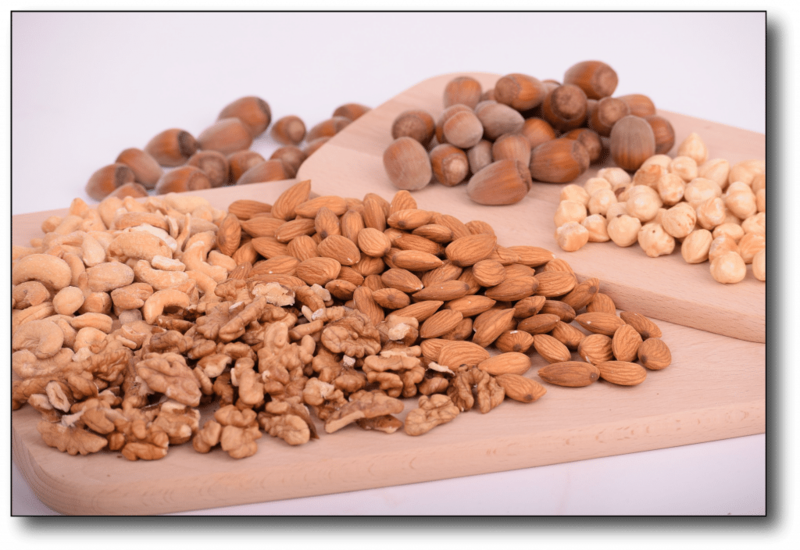 My favorite raw nuts are walnuts, almonds, and cashews. However, almost all raw nuts are fine to use as an avocado substitute because they all have a fairly similar nutrient break down when you compare them to an avocado. From this chart, we see that the calories, fat grams, and carbs are all very similar. However, keep in mind that when you substitute nuts for avocados you will sacrifice some of the fiber. The second food on my list of substitutions is raw seeds. As long as you watch your portion size, raw seeds can make a suitable substitution for avocados on your low-carb diet. I personally enjoy adding raw pumpkin seeds to my salads and raw hemp seeds to my smoothies. 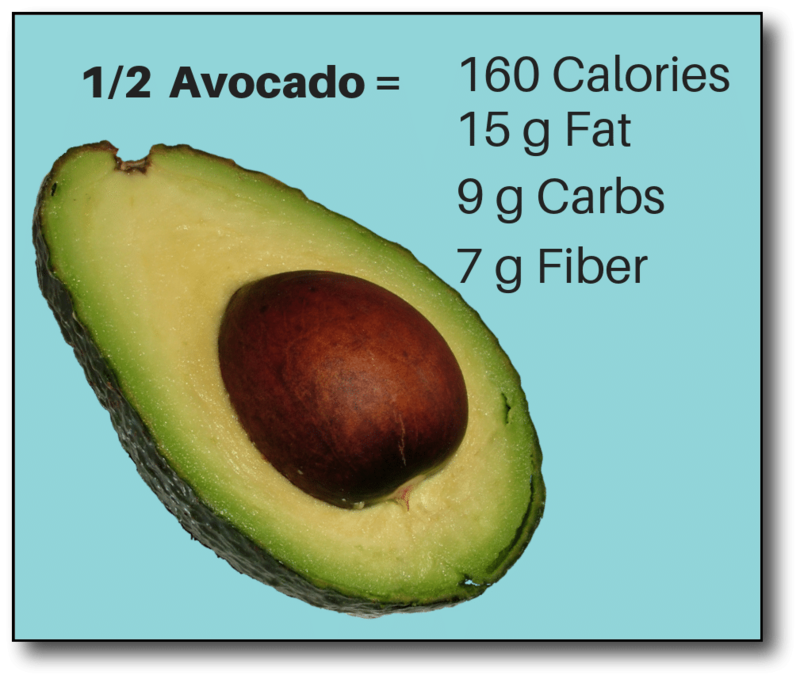 If we compare their nutrients to the serving of avocado, we see that the calories and fat grams match fairly close. 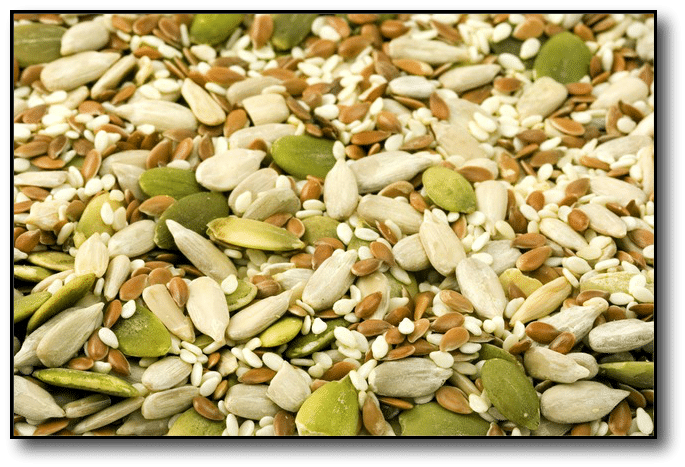 The biggest difference is that the seeds are higher in protein and lower in carbs and fiber (except chia seeds). Seeds can vary in their nutrient profile. For instance, if we look above at the nutrient break down of chia seeds. You can see that the carb count is much higher than the other seeds I featured, but they do have a lot of fiber. The interesting thing about chia seeds is how they absorb water. If you mix a teaspoon of chia seeds with a tablespoon of water the seeds quickly and easily absorb all of that water. For this reason, chia seeds have the ability to bulk up inside of your stomach, which can help you control hunger for hours. So if you like smoothies and you want a healthy fat to take the place of an avocado you may want to also consider adding chia seeds in instead of the avocado. The third substitution to consider is nut butter. 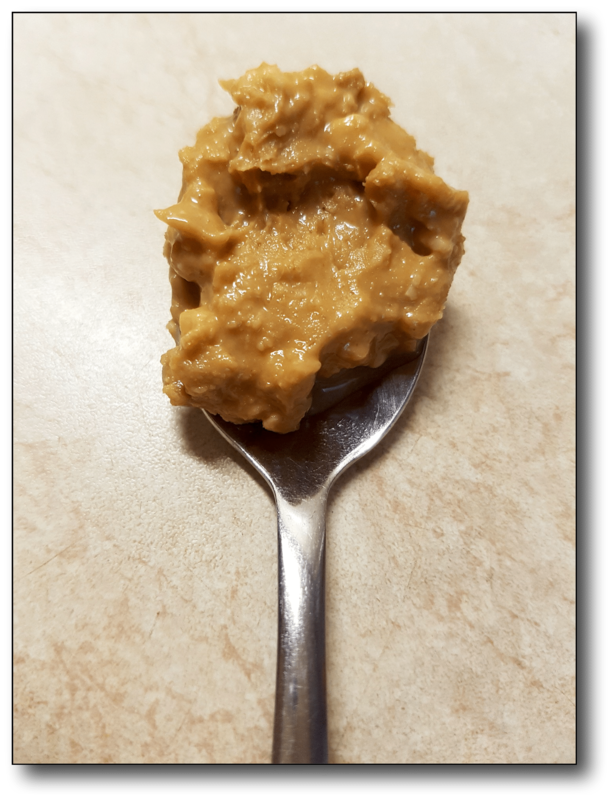 When I mention nut butter, I am Not talking about regular peanut butter that contains sugar and vegetable oils. Instead, make sure you use a natural peanut butter or almond butter. The brand I use is Justin’s because it only has two ingredients: the nut itself and palm oil. You can find Justin’s brand nut butter on my Amazon affiliate shop. If we look at our nutrition chart, we see that nut butter has similar calorie, fat, and carb amounts when compared to a serving of avocado. They do have less fiber but they also contain more protein. Nut butter is a food that has a positive nutritional profile, but like raw nuts and seeds, they are easy to overeat. So you will need to watch your portion size to make sure you do not overdo it. One food that is not as easy to overeat, but makes a good avocado substitution is olives. 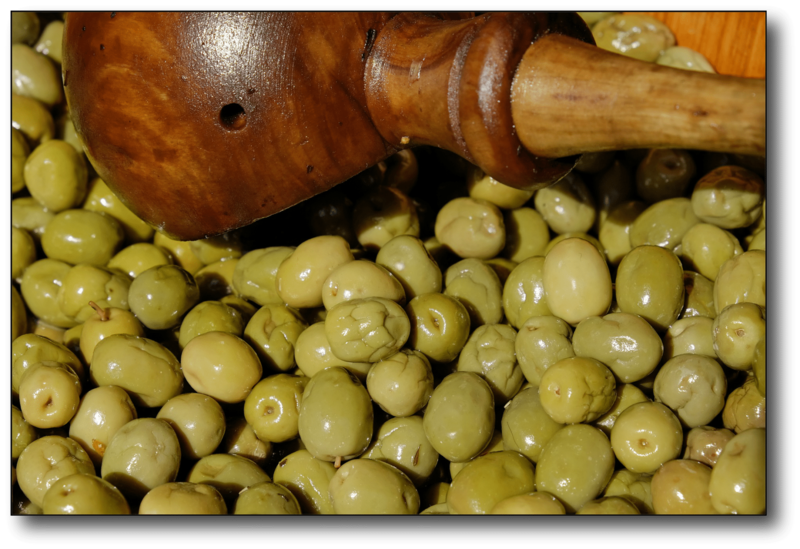 Olives are high in healthy fats and have a lot of flavor. They are a great addition to salads and many other recipes. They can also be eaten as an as a snack. You may even want to consider trying stuffed olives as a snack. I like to buy olives stuffed with blue cheese. It is an easy snack for my husband and myself to enjoy. As you can see ten blue cheese stuffed olives provide 100 calories and ten grams of fat. They also have a similar amount of carbs and protein compared to avocados. With that said, stuffed olives might be something you want to consider giving a try. Eggs are another one of my favorite low-carb, high-fat foods. They are so easy to make and provide a great number of nutrients. 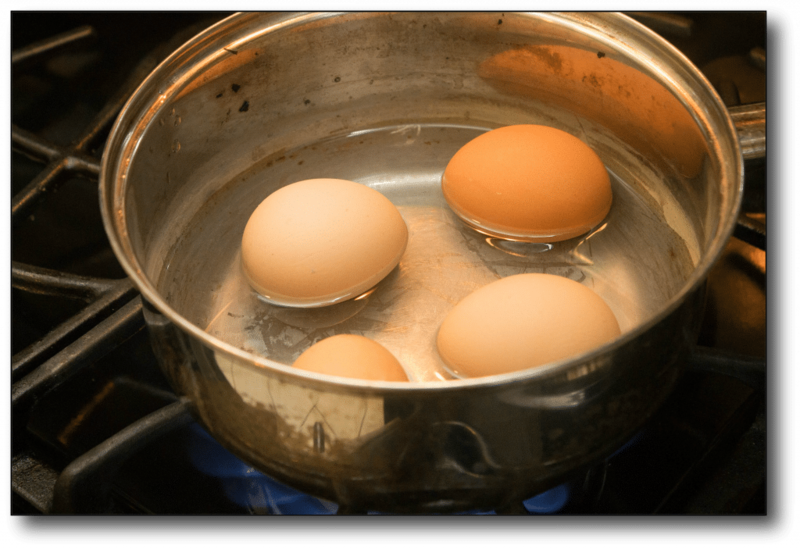 If you hard-boil a couple of eggs and use them in place of an avocado, you see that they provide about the same amount of calories and fat but no carbs, which is great! If you are looking for a substitution that has a similar texture to that of an avocado, then you may want to consider a soft cheese. 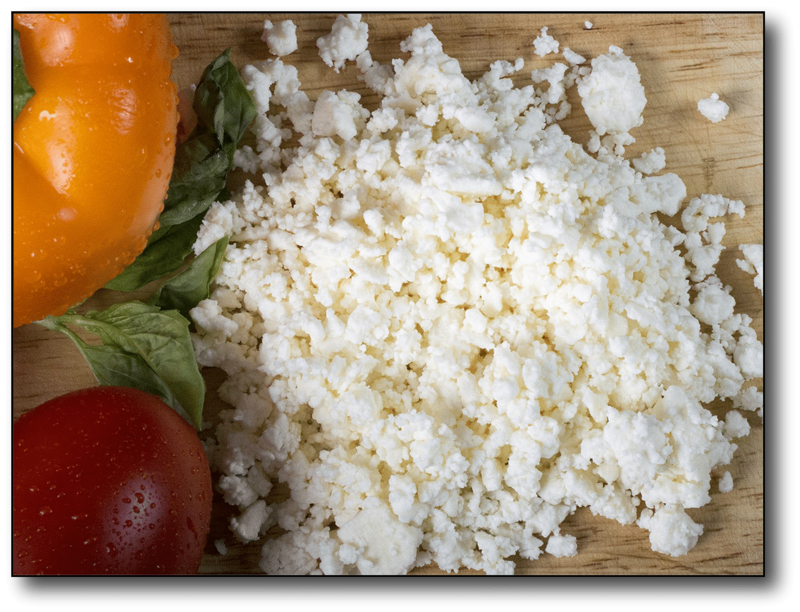 Soft cheeses include feta, ricotta, goat cheese, and cream cheese. Let’s use feta cheese as the example. A two-ounce serving of feta cheese is very similar to the calories and fat content of one half of an avocado. You are sacrificing some fiber, but you’re boosting the protein. Overall it is very similar to using an egg as an avocado substitute. Like an egg, the nutrient breakdown is not an exact match to avocados but you are getting the benefits of the higher protein amount. The final avocado substitute is pesto. Pesto is an oil-based sauce. There are a lot of low-carb and keto recipes that include avocados (or an avocado-based sauce) on things like poultry, fish, eggs, or roasted vegetables. If you don’t like avocados, then pesto will make for an interesting substitution. 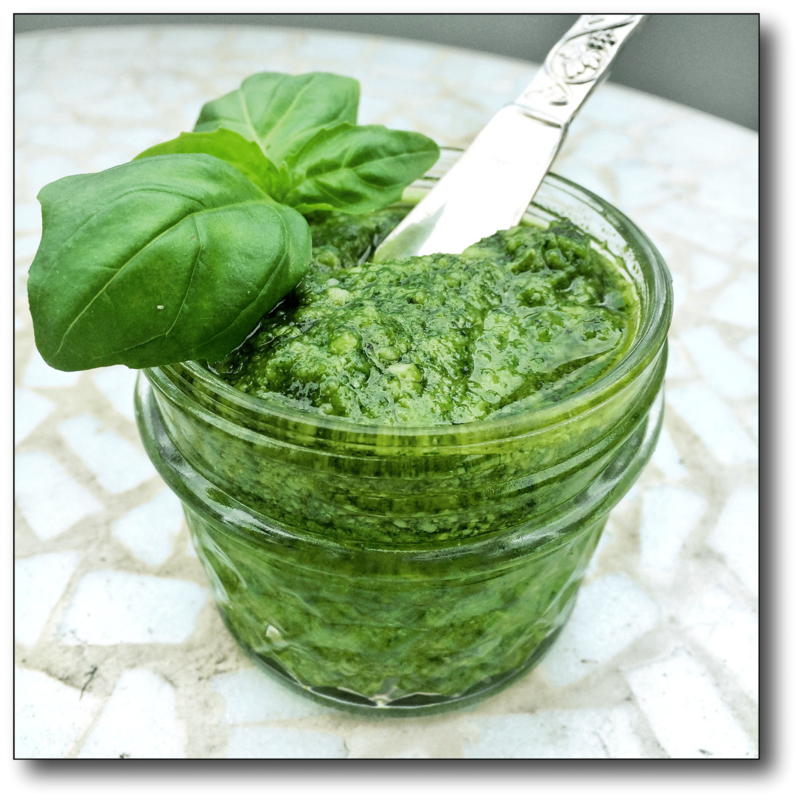 It seems like pesto is an often overlooked food on a low-carb diet. This is unfortunate because it has a great flavor when you put it with a lean meat or cooked vegetables. It also matches up with an avocado in many nutritional categories. Pesto is worth a try if you are looking for avocado substitutions. 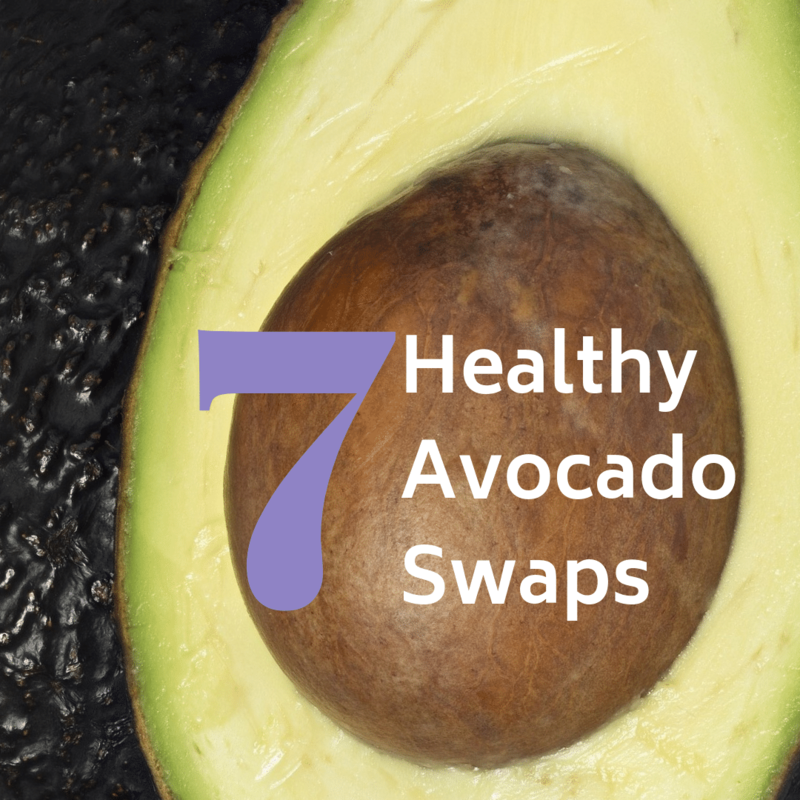 To conclude, the seven foods that you can swap with avocados are raw nuts, raw seeds, nut butter, stuffed olives, eggs, soft cheeses, and pesto. I hope this information will help you to reach your health goals. If you would like to start a diet that is simple and effective, then check out my Free 0,1,2,3 strategy. The 0,1,2,3 strategy is a simple approach to weight loss that I created in 2015. 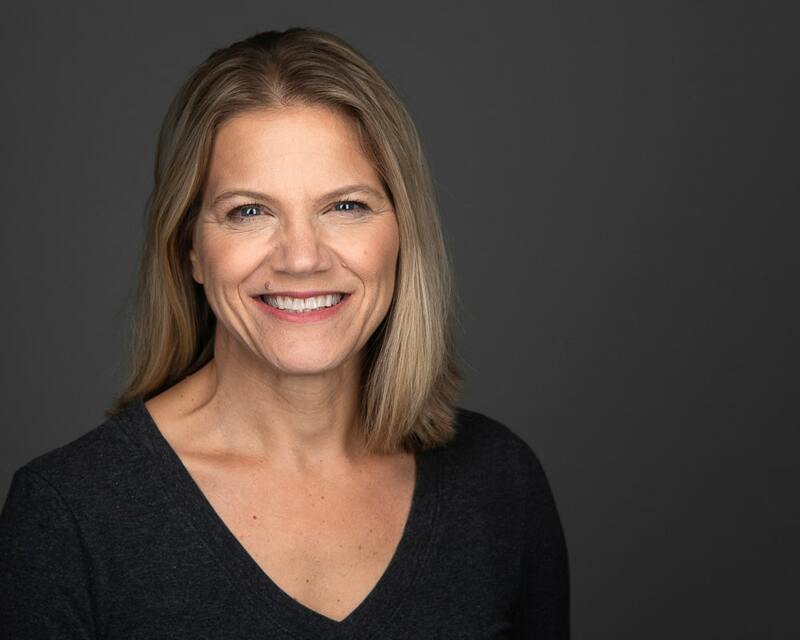 This weight loss strategy has been shared tens of thousands of times and it has helped individuals solve up to 80% of their diet’s problems by doing nothing else but following four daily habits.